After over 20 years as a band, including an eight year break from recording, the SWINGIN’ UTTERS return with their most polished record to date. SWINGIN’ UTTERS have become more of a punk institution than a band. As their style has shifted from classic punk to a more roots rock-oriented sound, their albums have felt increasingly like visits from old, dear friends, showing up every once in a while a little older and more comfortable with who they are, but at their core, they’re still the same bunch of guys you’ve known all along. This sentiment continues to ring true on their latest album,“Poorly Formed“. The album paints a picture of a band that’s older and wiser, delivering sage advice from the punk trenches to a younger generation that’s still trying to find their way in this world. 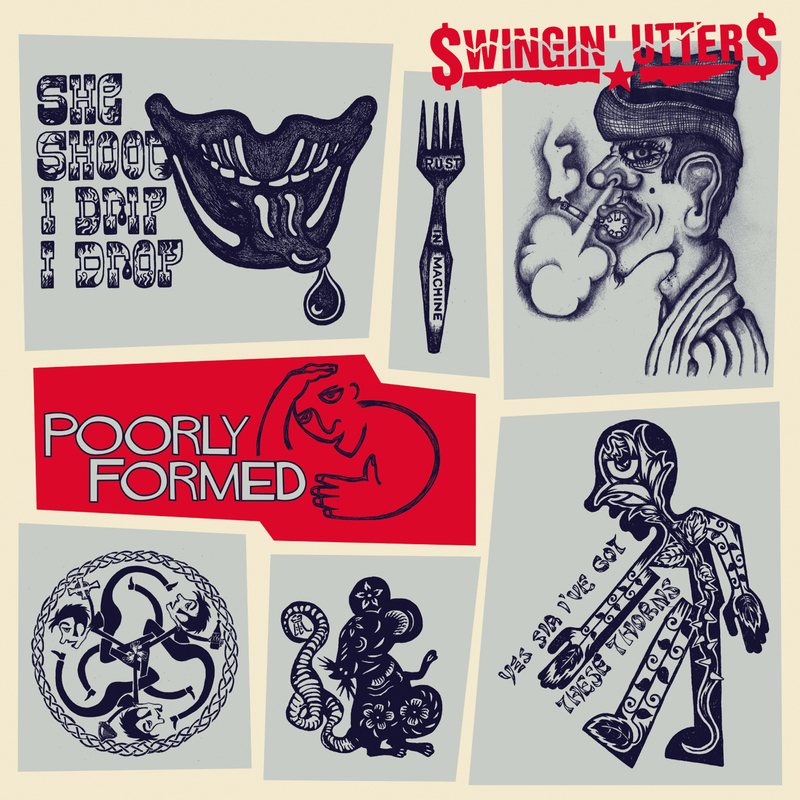 It is the most mature sounding record the band has released to date.Forming in the late 80′s in California, SWINGIN’ UTTERS have been stalwarts of the punk scene and sound for many years. The SWINGIN’ UTTERS have been described as Street Punk/Folk/Oi/Hot-rod-cow-punk. With a little twang and a lot of attitude, this band has moved from sounding like they belong in the punk scene of the 1970’s to a more contemporary and melodic outfit. Signing to Fat Wreck Chords in their early years, the band has been somewhat dormant for the last years.“Poorly Formed” will be co-released by People Like You Records in Europe. For more information, interview requests or what ever, give me a shout. This entry was posted in Press Releases and tagged fat wreck chords, People Like You records, poorly formed, Punk, Simon Nott PR, Simon Says PR, swingin utters, swingin utters poorly formed. poorly formed free download. Bookmark the permalink.